Have you been plodding the path of traditional publishing? Trying to find an agent or publisher to look at your work, with no success? Is your ego bruised and beaten from the constant rejection? Well, if you’ve had it up to here with the battering from conventional publishing companies, read on for a solution to your woes. Really, why do we persist in pursuing something so painful when the option of self-publishing is now so readily available? Gone are the days of the misunderstood author who can’t catch a break. 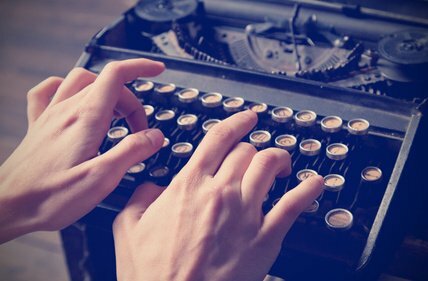 Today, a writer can take on the responsibility and control of their publishing destiny, independent of agents, publishers and poor royalties. Excited? Then, let’s explore why an author would want to do that, and how. With traditional publishing, the author is usually only involved in the first two points, writing and proofreading. As an independently published author, you have full control over all aspects of getting your book to market. That doesn’t mean you have to do everything yourself, of course. One of the common themes of the successful indie author is the recommendation to hire professionals to handle some of the aesthetics. Formatting, artwork and book covers can all be successfully contracted out to industry experts if you don’t have the inclination or skills to do the work yourself. The point is to have a polished product that meets a high standard of professionalism – you want your book to look its best. Imprinting. You’ll need to establish a business identity if you plan on selling any of your books, as you then become a retailer. Price point. What price will you determine for your work? This article from Jane Litte at dearauthor.com has some interesting insights and observations on digital pricing. Budgets. Determine your budgets for any contracting services as well as marketing and promotions, because initially they’ll be coming out of your pocket. Until your sales with decent royalties fill the coffers again, that is. Publishing platform. You get to choose which of the self-publishing platforms will best serve your needs. You get paid monthly. Any distribution outlets that carry your books, such as Amazon, Barnes & Nobel, Borders etc., will pay out on royalties on a monthly basis. A common complaint about old-fashioned publishing is the length of time it takes from signing a contract, to when the book arrives in the stores. An eighteen to twenty four months time frame is not uncommon. And that’s after the time it took to find an agent and a publisher. If your material is of a time sensitive nature, such as technology, medicine, science or current events, that’s simply too long. With self-publishing, you can have your published book ready for purchase within days or weeks – you determine the pace. Traditional publishers pay anywhere from between 6 – 25% royalties. As a self- published author, you keep 100% of the profits if you sell direct. Outlets such as Amazon pay up to 70% royalties on sales (if priced in their golden mean of between $2.99 and $9.99, royalties drop to 35% above or below those prices). If you want an idea of what royalties will come your way at each price point, check out the Amazon Royalties Estimator in the sidebar of Joe Konrath’s blog. It’s great for dreaming big. If you’ve made the bold decision to go down the self-publishing route, congratulations! You’re in for quite a trip! And the following partial list taken from A Newbie’s Guide to Self Publishing by J.A. Konrath will help you on your way. Set your goal. First establish why you’re publishing to decide how to publish. This step will determine which self-publishing model to choose from; print-on-demand, vanity, subsidy, etc. Determine your price point. Do some research for pricing in your genre to decide where in Smashword’s sweet spot price range, your book will best be suited. Format your book. Do it yourself or hire someone. But if you plan on selling your book, do remember that appearances count. That first impression is important, so give your book a professional look and show that you mean business. Design your book cover. Lots of fun in this creative step, but again, maintain a high standard of professionalism at all stages. Write your product description. Pack your description with pertinent info and similar in style to that of others in your genre. Publish and publicize. Upload your digital version to the platform of your choice, and use social media to announce your release dates. Sure, there are more initial costs to self-publishing a book than with an established publishing house, and you do have all the responsibilities. It takes a lot of time, effort and energy to publish independently, but so does any solo entrepreneurial effort. It’s a business, and if you treat it as such you’ll enjoy the profits that come with running a successful business. And while self-publishing may not appeal to all writers, isn’t it great to know that the option exists if you do want to take control of your own publication empire? This entry was posted in General Writing and tagged author, self-publishing, writer on January 30, 2015 by Steve Aedy. 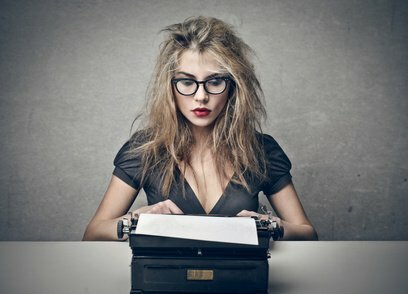 Looking to become a better writer and not too sure where to start? Well, we’ve gleaned the advice of some successful authors and emerging writers to see what they offer for developing successful habits and routines. So, let’s get right to their inspirational words of wisdom. So, turn of the TV (and the online shows) and let your imagination run free. Acknowledging that you have some “bad stuff” inside doesn’t make you a bad writer. And permitting the bad writing to surface clears space for the good writing to emerge. Don’t make the mistake of trying to hide or stuff the badness, because it will emerge in other ways. Just allow it to come forth, then let it go and move on to your natural brilliance. This is advertising giant David Ogilvy’s recipe for simplicity. To cut through the white noise clamoring for your readers’ attention, be concise, to the point, and clear in your writing – in as few words as possible. In Bird by Bird, Anne Lamott instructs the aspiring writer in the practice of chunking. This is the process of breaking down large projects or goals into their main components, and those components into smaller individual tasks. By whittling down the project down to bite sized bits, you’ll arrive at the starting point. And then it’s simply a matter of methodically tackling each task individually, then moving on to the next. In this manner, you always know the next step to take which is key in busting overwhelm. Giving voice to those inner thoughts can be controversial for sure, but writing isn’t for the squeamish. If you can’t be honest, you’re not delivering value, and without value your readers will flee. In the same thread, bestseller Ben Mezrich uses the practice of personal deadlines to “stay out of trouble and avoid procrastination”. Another sound practice to avoid the daze of overwhelm with all its delay tactics, excuses and unfinished pieces. Determine a page or word count in advance and finish writing when you’ve reached it. It’s like having a mental countdown clock; as you reach each interim milestone you know progress is being made. This is particularly effective when used with the chunking practice in point #4. Reading aloud is a very effective method to recognize when you’re getting too wordy. If you find your mind getting to the point before your eyes do, it’s time for some discerning editing. It’s also a great way to improve the rhythm and pace of your writing. Seems harsh, doesn’t it? But, Mr. Palahniuk asserts that by using “specific sensory detail”, actions and sensory details, your writing will become stronger. This is the basis of “show, don’t tell” concept for writing – let your characters physical actions and words show what they’re thinking. Without keen observation, you can’t capture the excitement and interest of life. Use it to broaden the emotional nuances of your words and convey depth and understanding to your characters’ actions. And finally to wrap up the post, the above tip from author Lev Grossman seemed appropriate. Take what works for you and throw away the rest – with perseverance, you’ll find your own voice and develop routines that work for you. And you never know, maybe someday a blogger will be quoting your tips for becoming a better writer. This entry was posted in General Writing and tagged writer, writing on October 17, 2014 by Steve Aedy. It’s confusing, isn’t it? There’s so much written on both sides of the fence about self-publishing, it’s hard to know fact from fancy. Myths and stories abound about the pitfalls and pinnacles of the independent authors’ efforts to publish their creative expression. There’s no doubt that self-publishing has gained enormous popularity. In May, 2013, Publishers Weekly reported that “Total e-book sales rose 44.2% in 2012, to $3.04 billion and accounted for 20% of trade revenue”. Impressive, for sure, but just how difficult is it for the average writer to have a measure of success as a self-published author? We’ve turned to the experts for some answers – writers who have published traditionally and self-published, to see what we can glean from their experiences in busting through some of the more persistent myths about self-publishing. Not True. In a post on Problogger, authors Johnny Truant and Sean Platt refer to this myth as “one-title thinking”. It’s the idea that in order to be successful you need to have a smash hit, a blockbuster that will bring fame and fortune. Messrs. Truant and Platt refute this idea, believing that you don’t need a mega hit in order to be a “successful” author. Rather, a work ethic based on consistency, perseverance, and sound business sense will bring success over a period of time. Not the overnight, mega-hit success of celebrity pop culture, but the success that comes from focus, persistence, and constantly moving toward your goals. They don’t really see it as a matter of luck, and offer a formula for producing consistent revenue: produce a book that earns just $200 per month, and repeat 20 – 30 times. What independent author wouldn’t enjoy an income of $4,000 – $6,000 a month? True. In a recent article on the Huffington Post, hybrid author Holly Robinson gives this myth a “somewhat true” rating. Ms. Robinson’s experience as a self-published author supports the position that you’ll have complete creative control over the writing and publishing process. The independent author has the final say in everything from writing to formatting, publishing and promotion schedules, release dates, pricing, design and cover art, marketing and branding – without interference. You’ll never have to compromise your work in order to suit a market that’s been chosen for you. However, with that control comes all of the responsibility of making solo decisions. Yes, mistakes will be made, but with a bigger slice of the revenue pie, they’ll be easier to accept and learn from. Ouch. Not True. This myth drives right into the heart of many writers’ low self-esteem issues, and is cited in an article by Joel Friedlander, author and self-publisher. Mr. Friedlander lays this myth of unworthiness at the feet of hierarchical thinking, the concept that others are better qualified than the individual to determine what does and doesn’t get read. And that this “gatekeeper mentality” has been a cornerstone perspective of old business models, including those of publishing houses. He goes on to point out that with the changing of the guard in the publishing arena, each individual writer is now responsible for what does and doesn’t get published. And this leaves the decisions of worth to the readers, who will have the final say in which author “rises to fame and fortune”. True, but qualified. 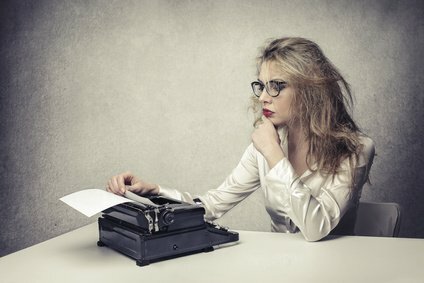 Posting a rebuttal in her blog to Kensington Publishing’s CEO Steven Zacharius’ article in the Huffington Post, hybrid author Laura Kaye agrees that initially, it can cost the self-published author more money to set up. Covering the traditional publishing costs of cover art, formatting and editing are expenses that “most of the self-published authors pursuing publication of their books as a business are paying for”. But, as she explains, the upfront costs are compensated for in higher royalties; and gives us a detailed accounting of sales percentages for ebooks priced in the “sweet spot”, between $2.99 and $5.99. Have a great cover, branded to genre. Publish the discount schedule of a major bookseller on your publisher site. Ensure your paper books are priced correctly. There you have the opinions of five successful authors on some of the pervasive myths that surround self-publishing. Some debunked, others upheld. But one thing is certain: all of these writers believed in themselves enough to push past the stories and determine for themselves what is and isn’t true. This entry was posted in General Writing and tagged author, self-publishing, writer on September 19, 2014 by Steve Aedy.